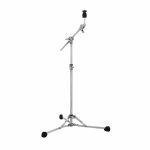 This Pearl double conga stand has adjustable height and a quick release feature for fast setup and breakdown. 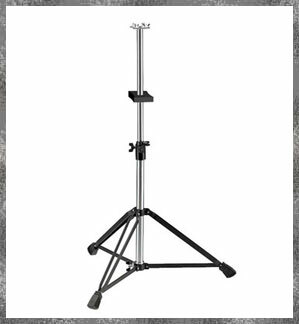 It is a medium weight stand for travel and studio work. Double Braced legs assure stability. 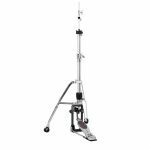 The Pearl RH2050 Remote Hi Hat Stand is extremely fast and natural feeling, with an 8 foot cable, drop clutch and PosiLink drive system. 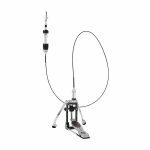 The Pearl PosiLink drive system has twin double chains with 4 cams included and 2 optional. 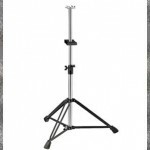 This Remote Hi Hat Stand can be customized for direct drive feel to extremely accelerated feel by your choice of cams. Legs swivel, traction plate grip is adjustable and removable, and spikes are non-slip. FREE SHIPPING WITHIN CONTINENTAL USA! The Pearl H2050 features an Interchangeable Cam System. The Pearl PosiLink drive system has twin double chains with 4 cams included and 2 optional. This can be customized for direct drive feel to extremely accelerated feel by your choice of cams. Legs swivel, traction plate grip is adjustable and removable, and spikes are non-slip. 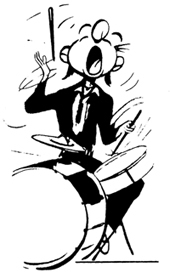 FREE SHIPPING WITHIN CONTINENTAL USA!